It’s no secret that mortgage providers can be a little inflexible. Naturally risk averse following past misadventures, anyone who can’t tick their specific, predefined boxes usually doesn’t get a look in. 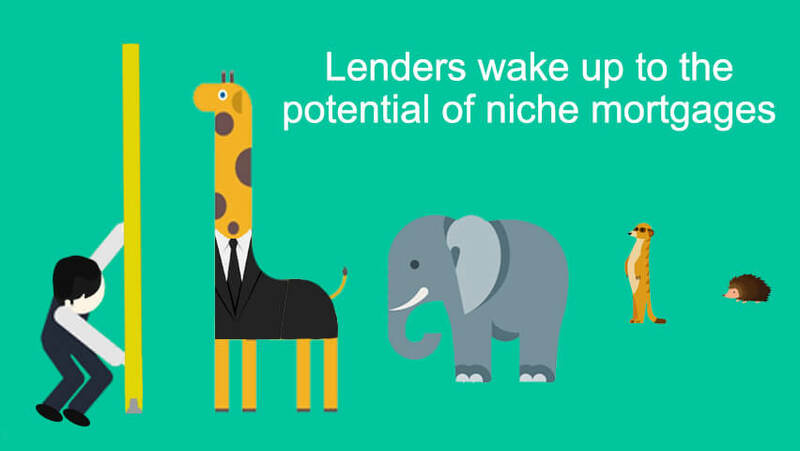 That makes it decidedly tricky for niche groups to get on the property ladder or get a good deal from their lender - even if they could be a worthwhile investment. Little known a couple of years ago, RIOs are now going mainstream, thanks to a ruling by the FCA earlier this year, reclassifying them as standard mortgages. They were previously only available following specialist advice (like equity release schemes and lifetime mortgages), which discouraged many lenders from getting involved. But that’s all now changed, and more lenders are getting in on the act. As the name suggests, RIOs are typically for older borrowers, and offer a simpler alternative to equity release schemes or lifetime mortgages. They are effectively like normal interest-only mortgages, which means lower monthly payments, but without an end date. Instead, the mortgage is paid off when the borrower dies or goes into long-term care. The downside compared to equity release schemes and lifetime mortgages is that you will continue to have monthly payments, so do need an income to cover this. But if you do have money coming in, for example from a pension, it’s an effective way of freeing up the value in your home, without losing equity at the same time. RIOs are currently being offered by Post Office Bank, Bath Building Society, Hodge Lifetime and Vernon Building Society. Nationwide also has plans to launch such a deal. With research showing that one in four mortgage transactions are dependent on support from the ‘Bank of Mum & Dad’, a handful of lenders are capitalising on this trend with the launch of parental assist mortgages. These work by allowing first time buyers to borrow, using their parents’ savings or property as security for the loan, without locking their cash up for a long period. For example, Barclays offers a ‘Family Springboard’ product, which requires a family member to deposit 10% of the property price into a ‘Helpful Start’ account. That money will be returned after three years, if the borrower makes all their payments on time. Melton Mowbray offers another option, specifically for the self-build market, which can consider up to four incomes. And this month, Marsden Building Society launched a competitive ‘family step’ mortgage in partnership with Legal & General Mortgage Club, which will consider family property or savings as security for the loan. Inspired by popular TV shows like Grand Designs, plus Government support to relax planning laws, self-build is becoming a realistic option for more and more people. And mortgage providers have recently joined the charge, with products aimed at further easing the process of building your own home. While several banks offer self-build mortgages, a number of building societies are now topping that with ‘accelerated’ self-build mortgages, which give individuals money before each stage of their project. That means they have the cash to pay for labour and materials before the work begins, without resorting to expensive bridging finance. Lenders who have recently launched accelerator products through BuildStore include The Hanley Economic Building Society, The Mansfield and Darlington Building Society. Despite the huge popularity of Airbnb, a recent investigation by Mortgage Strategy found that few lenders provide mortgages that allow for these short-term lets, with many outright hostile to the idea. But this isn’t the case with Tipton Building Society, which has just launched a new mortgage specifically for Airbnb hosts. The move enables borrowers to rent properties out on shorter and non-fixed term agreements, without worrying about breaching the terms of their mortgage. They’re joined by a couple of other lenders who are a bit more open-minded. For example, Metro Bank allows customers to rent their home for up to 90 days a year through AirBnb with no pre-approval, while Market Harborough Building Society can accommodate owners using Airbnb up to 24 weeks a year. Most students spend their university years racking up debt, but with some of the specialist mortgage products available, they could be building up valuable equity. Students can apply with their parents or on their own. However, with the latter, a parental guarantee will be required if the LTV (loan to value) is over 80%. Lenders calculate the actual amount a student can borrow based on the rental income they’ll receive from letting out rooms. So, the value you can borrow will vary depending on property and rental prices in your university city. If you’ve had a niche mortgage and would like to help others decide which provider is right for them, share your experience by writing a review. Nate joined Smart Money People in July 2018 and has been passionate about its mission to increase trust and transparency in financial service since learning about the platform in 2015. Smart Money People is the UK's only dedicated financial review and insight platform. Mortgage brokers vs. direct lenders: which is best for you?